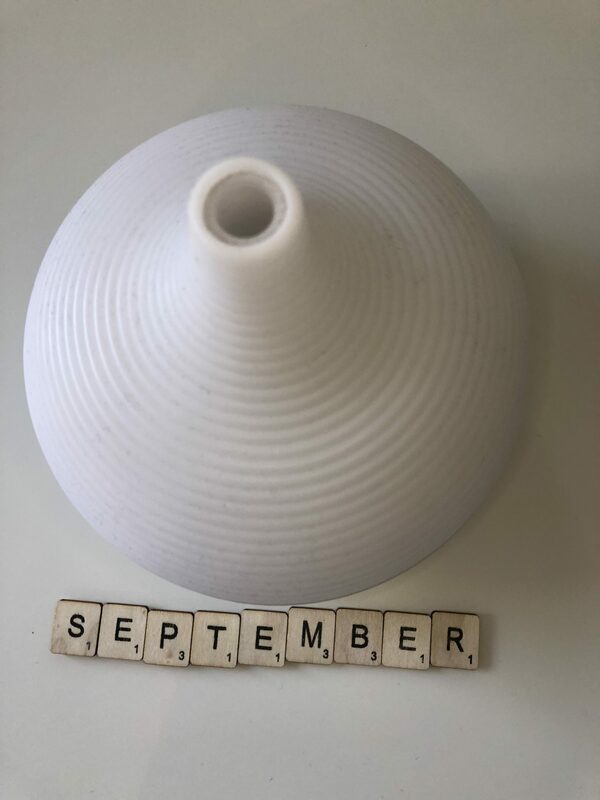 How is September over already?! 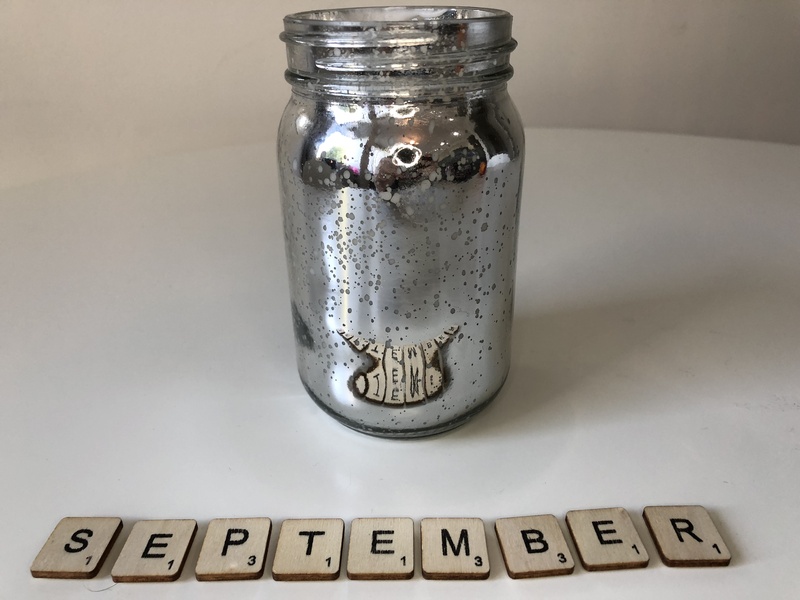 How has your September been? For me it’s been an up and down kind of month, from health issues to friends coming over for dinner, playing with baby Aurelia and opening my Christmas homemade shop. This time of year is a time where I get super busy not just with work but orders for Christmas plates and stockings. Of course stuff that I love to do. So I have picked a few favourites that I have really liked this month. As always a favourite can be absolutely anything so I include a variety. 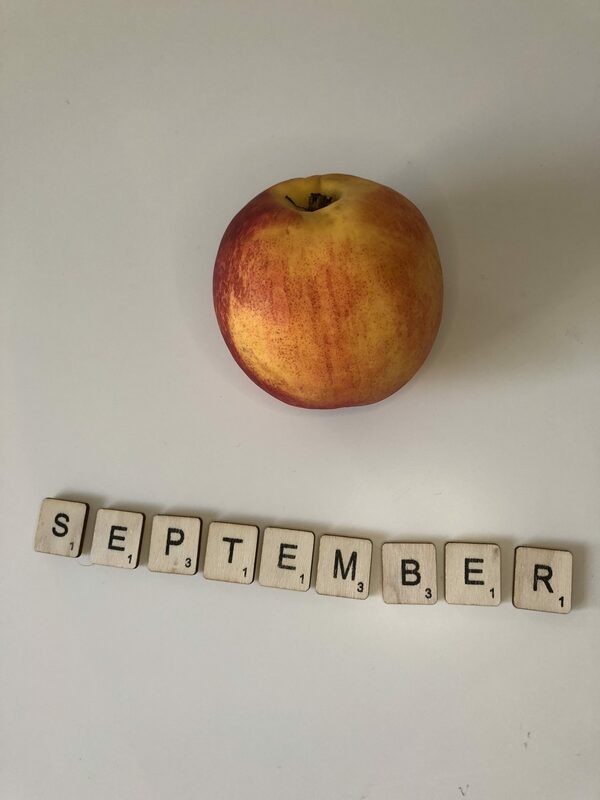 The first thing I have liked this month is nectarines. I am having half a day for breakfast and they are so nice. They just add a little extra to my toast and blueberries. I am quite fussy when it comes to food so finding something I like is really good. I am now 90% vegetarian and I eat mostly non meat dishes. I am loving Marks and Spencer’s beetroot and lentil burgers, with onion and chive cheese in a brioche bun. 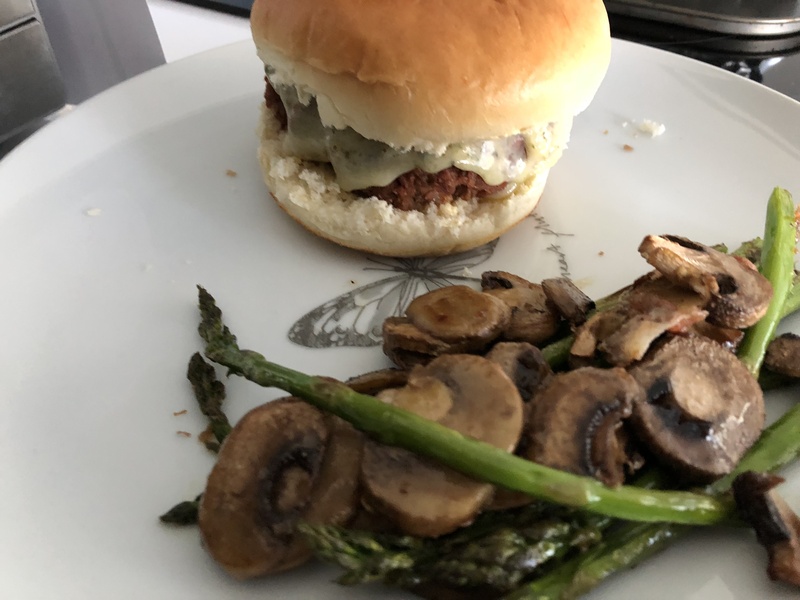 I normally just cook some asparagus to have on the side and it’s so good. It is actually one of my favourite dinners to cook and I have had this every week now for the whole of September. I offered this to my friend for dinner this month and she declined however when she saw them she wanted one. So I will definitely cook these again and offer her one next time she is round. 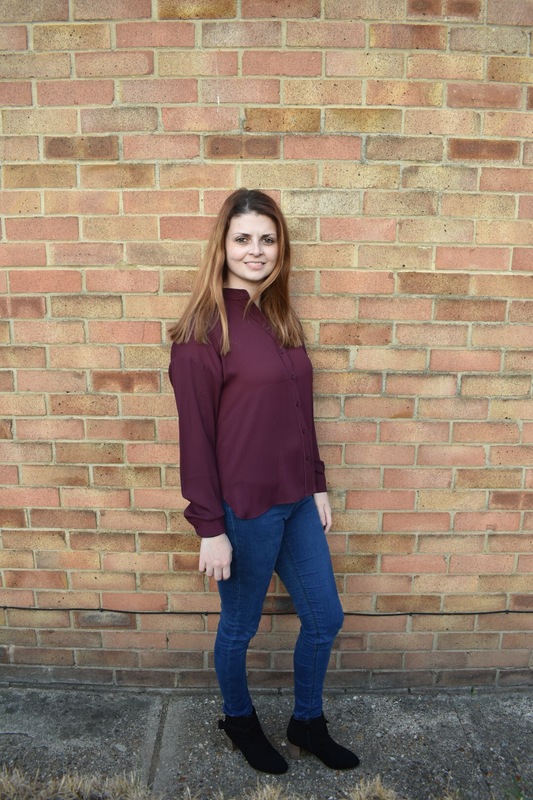 Moving on to fashion, I am loving my Topshop Joni Jeans, so comfortable and I wear them near enough every day. I am lucky enough to be able to wear jeans to work. As like last month I am liking comfy clothes still. I find these Joni Jeans really comfy yet stylish at the same time. 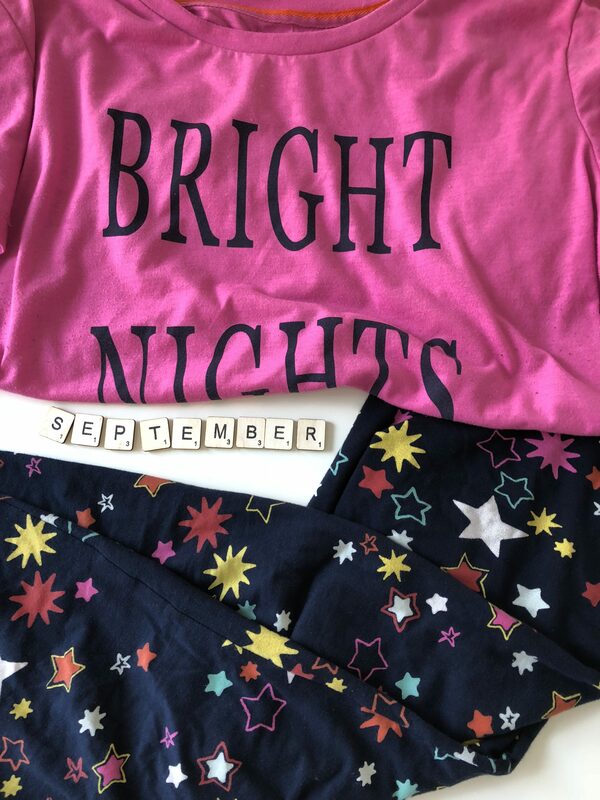 My next favourite has to be my ‘Bright Nights’ pyjamas from Next. They are so comfy. The top is probably slightly on the big size, but for comfort its good. The leggings fit me really well and are comfy round the waist. I am a girl that as soon as I am home I like to be in my pyjamas. When I finish work if I am not going out I cook dinner, shower/bath then I am straight in my pyjamas. With it finally getting colder it’s good to have leggings on rather than shorts. Next I guess relates to my self-care. 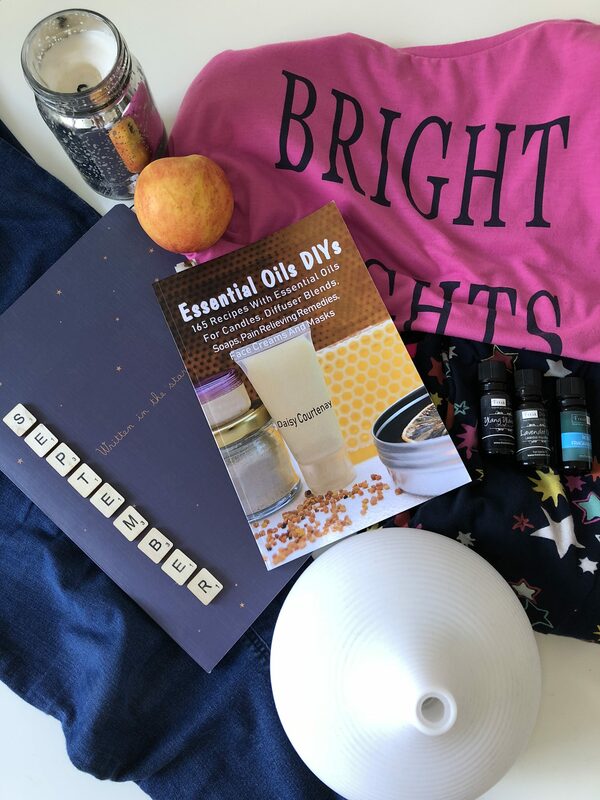 I am loving learning about what essential oil helps what and what is best for me. 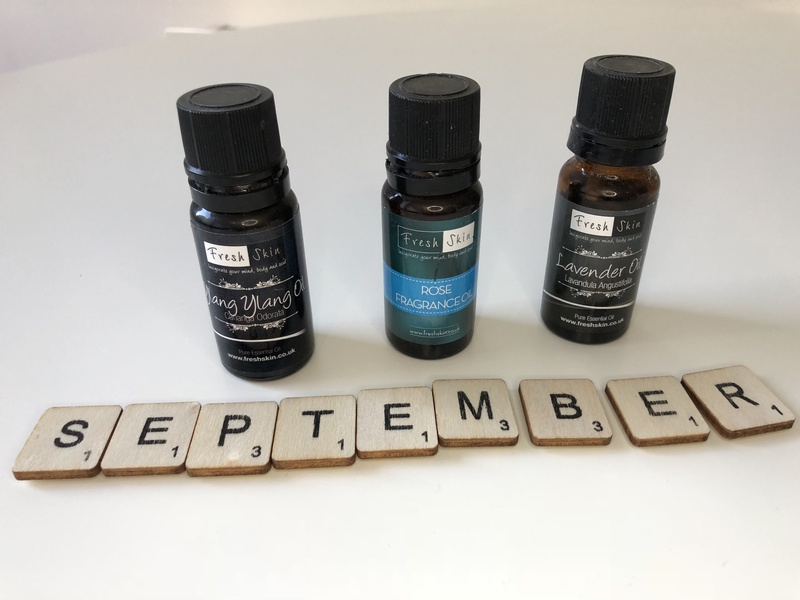 My favourites this month to use are *Ylang Ylang, *Lavender and *Rose. But I do have a variety for different needs. With this comes my *humidifier which I turn on for 6 hours a night. It helps me calm and gives me a better night’s sleep. Also frees my mind whilst I sleep and sets me for a better day the following day. Tying in with essential oils I am loving this book. 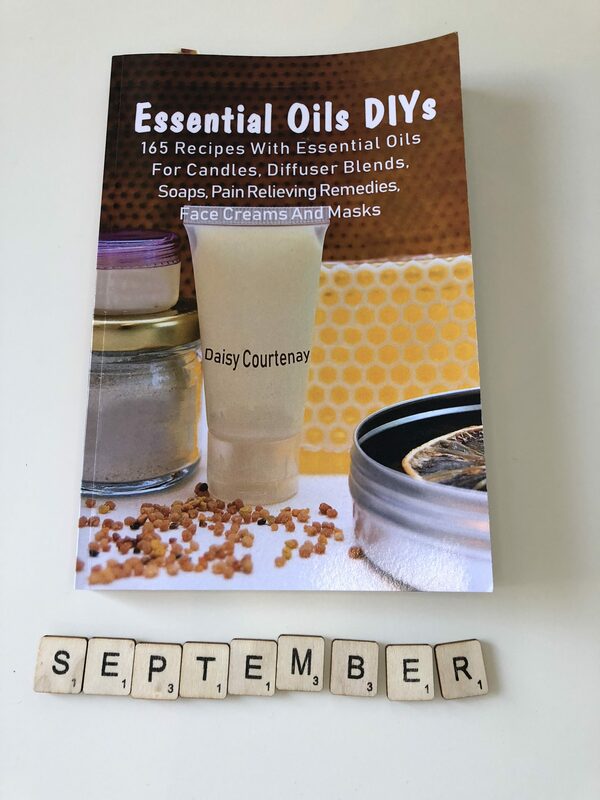 *Essential Oil DIYs. As I said I am loving finding out what helps what but also what I can create as gifts but also for myself. There are so many things to make and that will help my self-care but also allow me to use essential oils more freely and in different ways. Then finally for essential oils I am loving lighting my essential oil Ylang Ylang and Lavender Soy Candle whilst in the bath. The smells of the fragrances burning out of the candle definitely help you relax and de stress. It also leaves the room smelling nice once you blow the candle out. I also light this when I am doing the housework. It just makes it smell lovely. 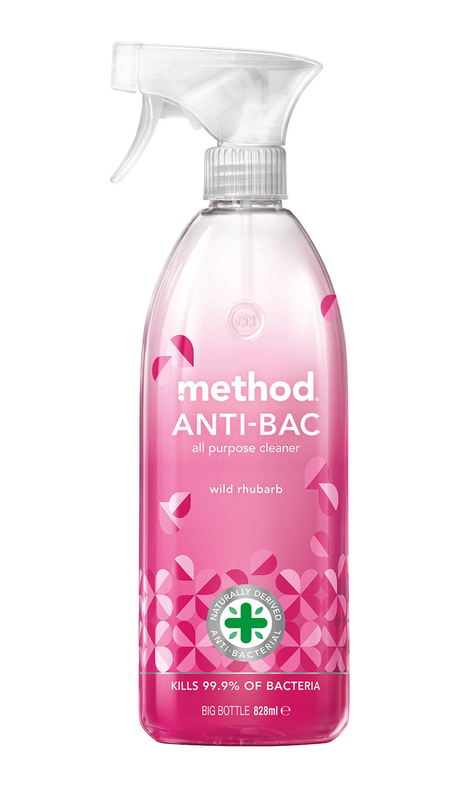 As I have just mentioned housework, I am loving my *Method Wild Rhubarb cleaning spray. Its anti bac so can be used anywhere. It leaves the house smelling of rhubarb for the following day which is nice to wake up to. 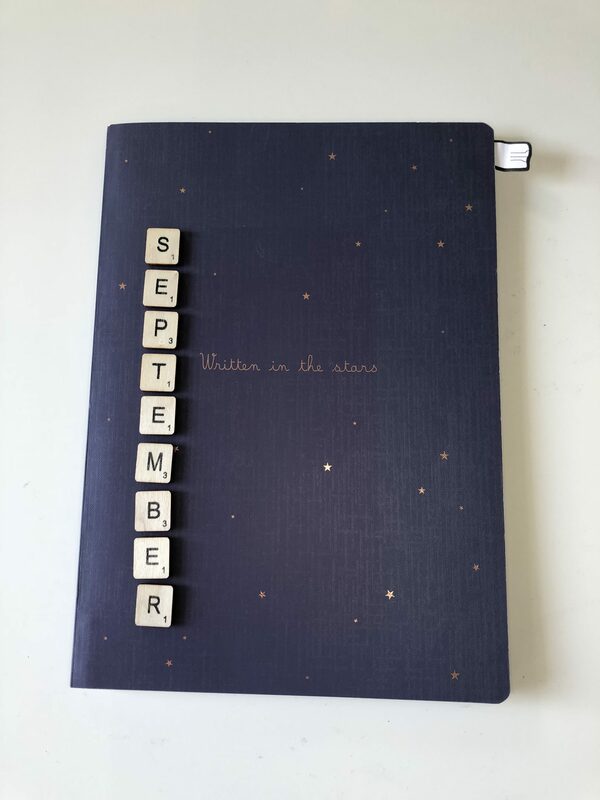 To tie in with essential oils, health and self care, I am massively into bullet journals at the minute. I document everyday, what I eat, how I feel and what I have achieved. If you feel a little under the weather its amazing to look back and prove to yourself actually look how well your doing and look what you achieved on that bad day. My final favourite of the month is flowers. 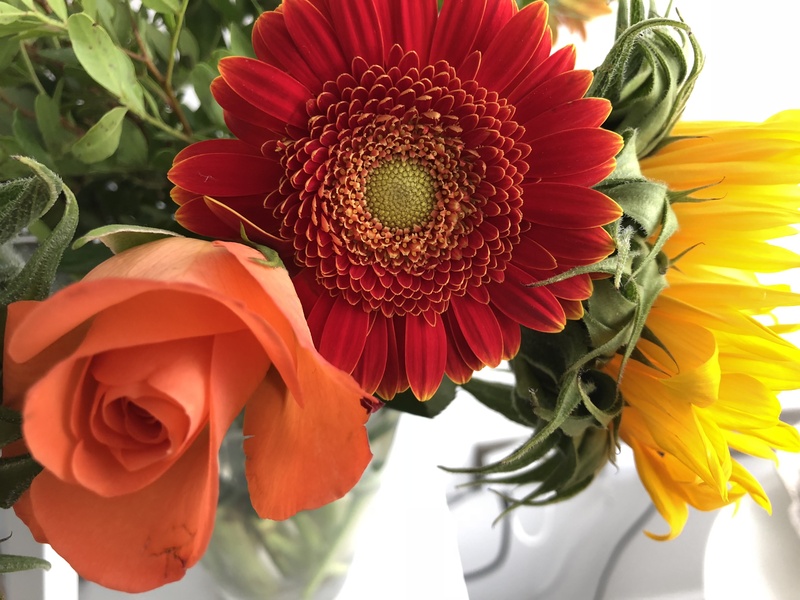 I have been using flowers as part of my hello (new month) post on Instagram, so I mostly buy them for that. They make me smile every time I see them. They brighten up the room and I have been trying to make some DIYs with them. I have had a lot of sunflowers which are beautiful, something I have seen a lot in youtube autumn craft DIY videos. 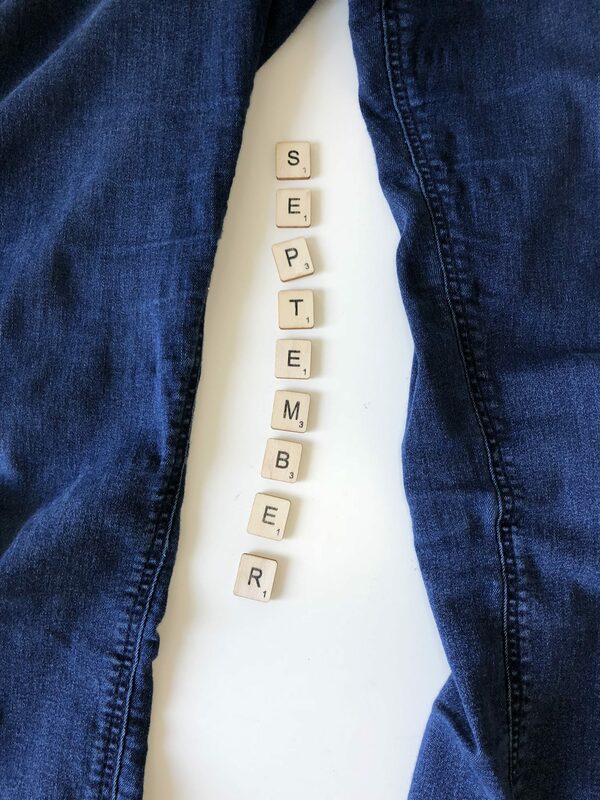 I think October will have new twist though so watch out for my Instagram post. But we never know what will be on the market stall when I buy some. So what has your favourite been this month? Do you like a variety or do you stick to one thing such as lifestyle or beauty?